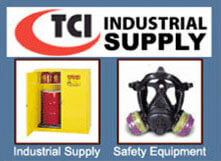 The Steel Conduit Thread gauges are manufactured per DIN 40431. 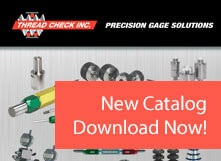 The Pg thread series is designed specifically for the thin wall cross section of the steel conduit. 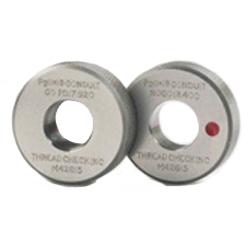 The thin wall thickness requires a shorter profile thread that will not break through the outside diameter of the steel conduit during the machining process. 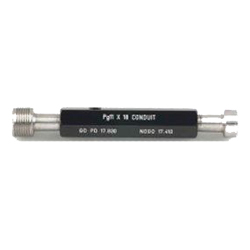 The Pg conduit thread form features an 80° included angle and a shorter profile than the 60° included angle found in the Unified National thread series and the Metric thread series.